Money. We all want more of it, but do we want it for the wrong reasons? Does money really bring you happiness? Security, stability and the ability to get yourself of a crisis or look after your health are all great reasons to want to have sufficient funds in your bank account. Yet research has shown that once you’re making around $70,000 a year, anything over and beyond that won’t bring you more happiness. Money can certainly help you reduce stress but it doesn’t guarantee fulfillment. 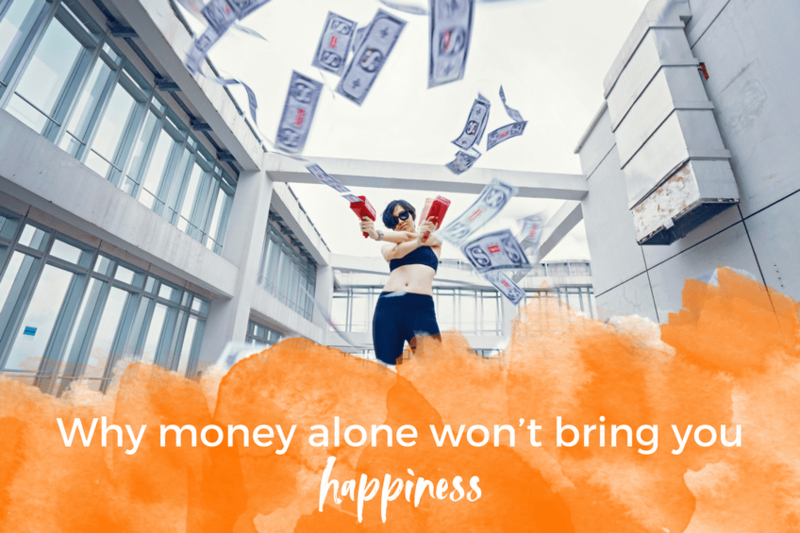 Over the last eight years of running my business, I’ve noticed that when I’ve had just a little bit more money than I really need, I often felt at my happiest. Despite the fact that I still wasn’t earning a lot, I was earning enough. Enough to buy my friend a drink or dinner, to get a gift for my family and to treat myself to an experience that felt special, but not frivolous. And because I was living out of a suitcase for close to seven years I never felt the need to buy things, just experiences. So instead I saved my hard earned revenue. Now that I feel financially free, I’ve put my money towards investing my own growth, in my business (mainly through new team members), property and more recently in others’ companies as an investor and advisor. I still feel most happy when I have money to give and to spend on others, but not enough money to feel totally comfortable and as if I could afford everything. That would make life rather dull in my opinion! In this podcast I mention a new business I’m starting to make an extra $3K in 3 months. Listen to A Powerful Morning Routine. My name is natalie too !!! Lol , loved what you wrote !!! I’ll mention it in my homework !! !